24th June 2018 – Over the weekend National Championships were held in the US, Kenya and Jamaica with PACE athletes being prominent in all three. 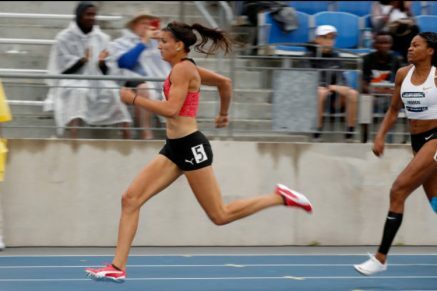 In the US, Jenna Prandini (USA) had a busy weekend as she first navigated her way through the heats and semi-finals of the 100m before taking third place in the final (10.98 seconds). She then came back in the 200m and after again winning both her heat and semi-final she stormed to victory in the final to regain the title she won in 2015. Frustratingly the weather put pay to a fast time in the final but a 22.22 clocking in the semi-finals shows a new PR cannot be far away. Olympic 1500m Champion Matthew Centrowitz (USA) once more displayed his championship credentials as he took his fifth national title. Looking back to his fluent best he serenely moved clear in the final straight leaving the others behind to battle for the minor medals. Shamier Little (USA) continues to improve as the season progresses and she won her second US title here over 400m hurdles. Her final time of 53.61 seconds is the second fastest in the world this year. Laura Roesler (USA) was unfortunate not to the make final of the women’s 800m. Despite recording the seventh fastest time in the semi-finals she was edged out of an automatic qualifying position but still came away with a seasons best of 2:00.84. In Nairobi, World and Commonwealth 5000m champion Hellen Obiri (KEN) showed her dominance in that event with a comfortable victory. These championships doubled up as trials for the African Championships and so Hellen will now have the chance to add that title to her resume having won the African 1500m title in 2014. Winny Chebet (KEN) won her first Kenyan title in the 1500m here and so will be looking to take the 1500m title off Hellen’s hands. In Kingston, Ristananna Tracey (JAM) finished fifth in the 400m hurdles.